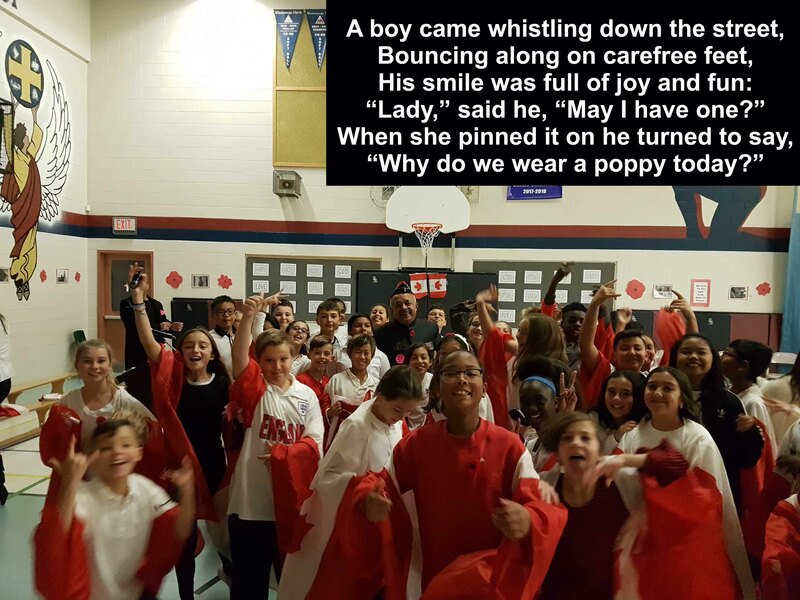 Why Do We Wear a Poppy Today? 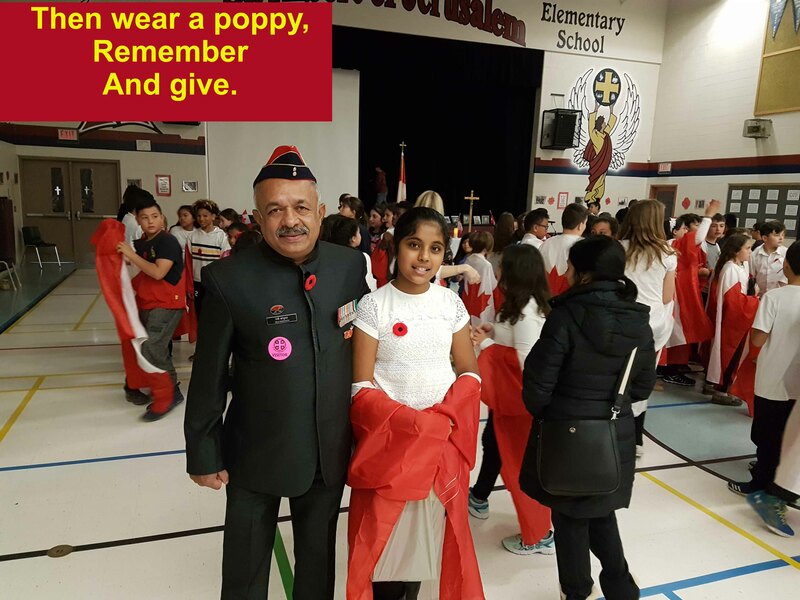 On November 10, 2017, our friend’s daughter, Ann Maria, a Grade 6 student, invited me to her school to attend the Remembrance Day Memorial Service. On reaching the school’s auditorium, I was greeted by Ann’s teacher and said she was expecting me as Ann had spoken to her about me coming. 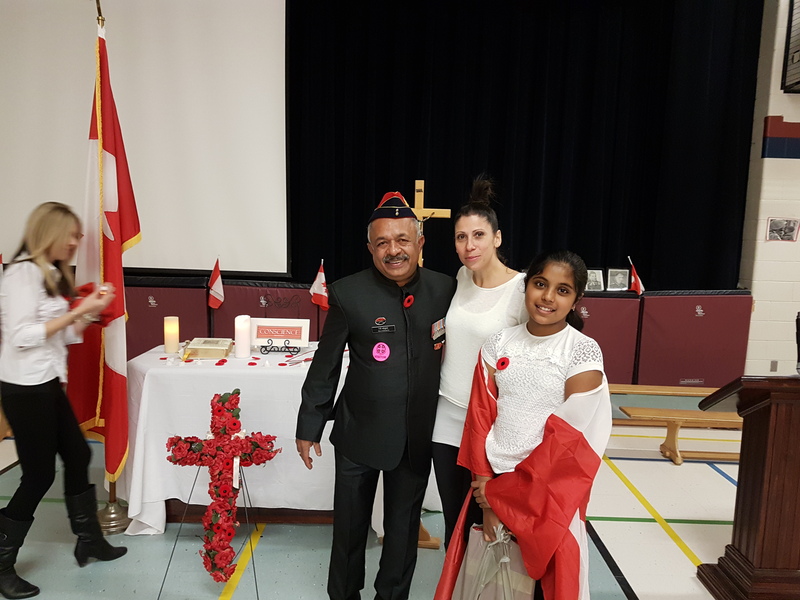 All the students of the school and staff were present and it was a solemn ceremony, paying tribute to all the soldiers, veterans and their families. 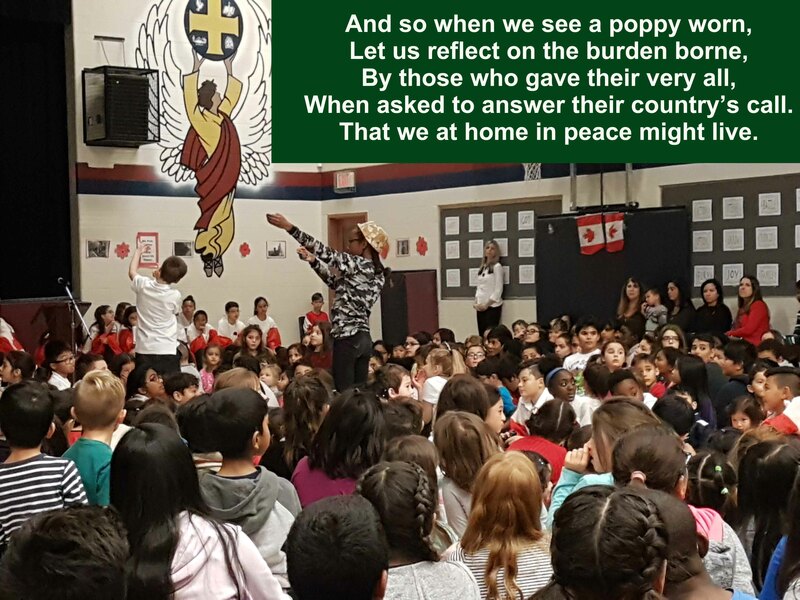 The theme was to Remember the Soldiers and Veterans and also who laid down their lives to bring peace to Canada. 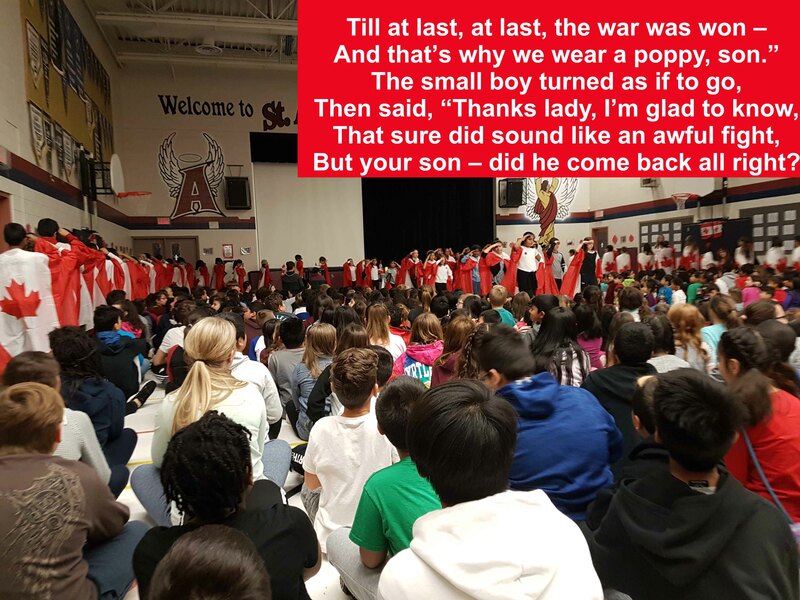 The children enacted various scene from the lives of soldiers and read passages from bible and also a few lines remembering the soldiers. 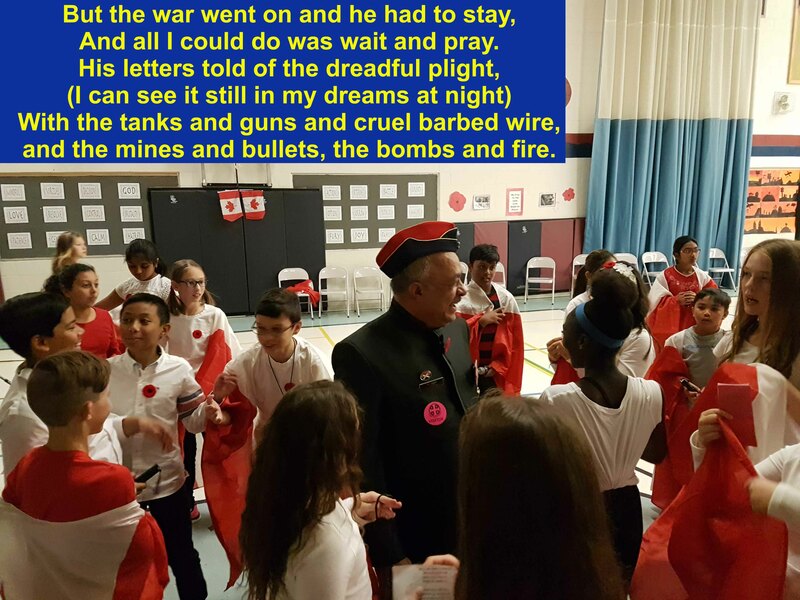 The most inspiring and heart touching moment for me was the recitation of the poem “Why Wear A Poppy?” by Don Crawford. Don Crawford turned this poem, handwritten in pencil and on two sheets of foolscap, in to The Perth Courier one morning in the early 1960’s, which was printed a few days later. 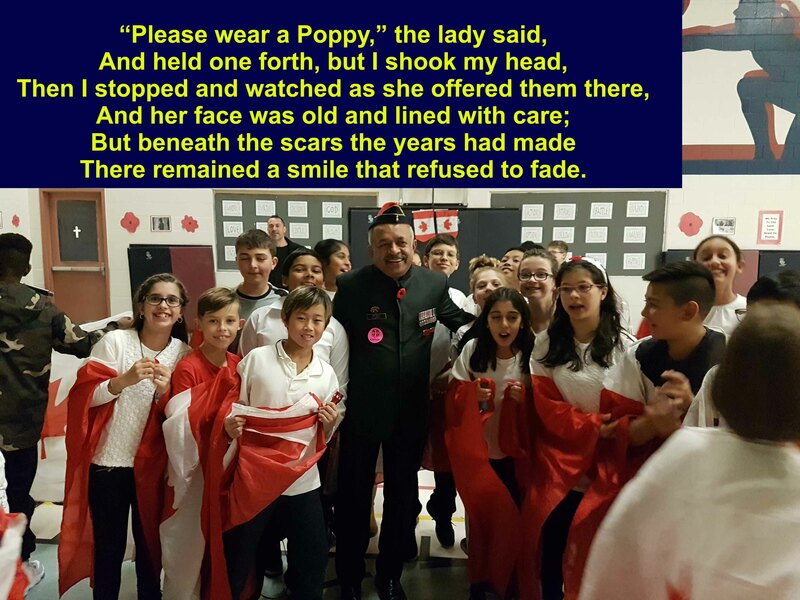 Since then, “Why Wear a Poppy?” has appeared in a multitude of weekly newspapers and magazines, including Legion Magazine in Canada, and foreign publications like Australia’s Anzac Appeal and Scotland’s Claymore magazine. The respect they give to veterans is praiseworthy . Beautiful narration. Very thoughtful of the School to introduce the kids to the achievements & sacrifices of Armed forces. 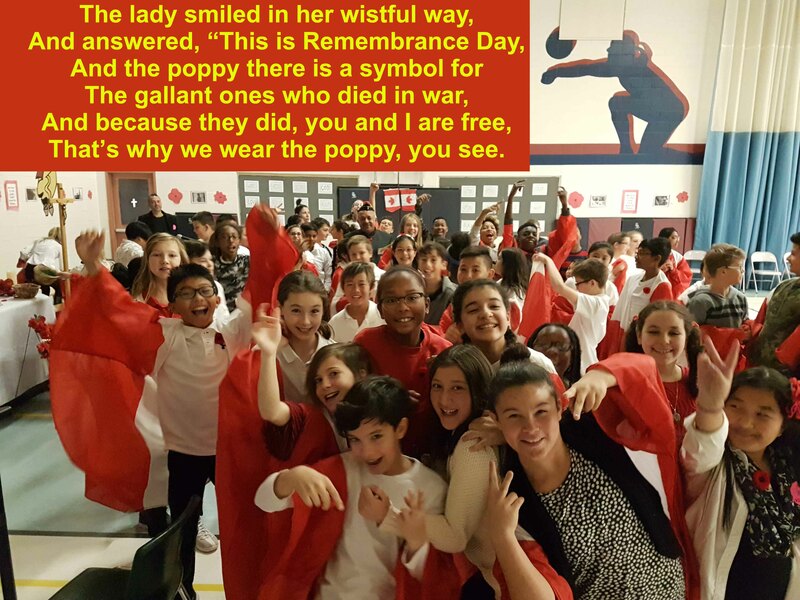 This is what generates respect in the hearts and minds of these kids. Here in India such functions happen only in the Army Public Schools. I remember flying miniature flags, as a student in the APS Dhaula Kuan. This is the way ,the veterans deserve respect. When would this happen here in my land!! Very well put across Col Reji as usual.Keep it up! Its such a beautiful article sir, the poems an absolute tear jerker. 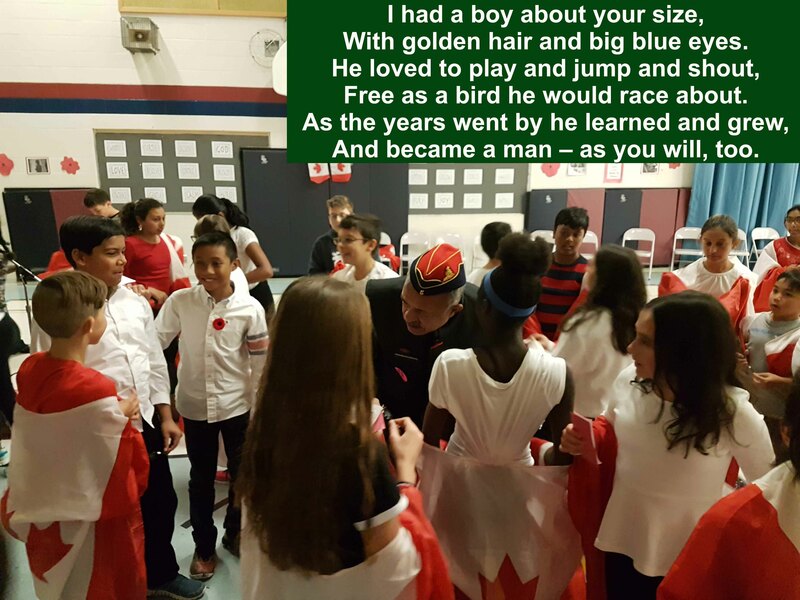 Your being invited to the school speaks a lot about how well Canadian children are being brought up. I remember wearing the poppy when I came to visit you in Canada and you telling me of it’s significance. “A nation which remembers it heroes will find that it never lacks them in it’s our of need”. Great. 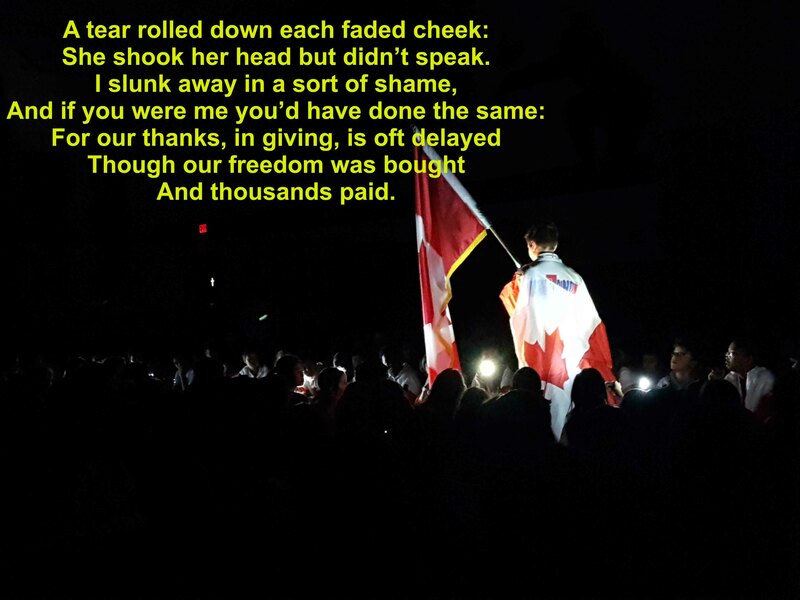 This is the reason Canadians, US and other western nations people are becoming good citizens. Very good gesture on part of the School. Read the article again after a year. My eyes still welled up.